We live in beautiful, sunny San Diego, CA, America's Finest City, but it's not always sun & surf. I, for one, love cloudy, rainy days, as we've been having, so I take advantage of the first drop I feel and bundle up in my cozy sweaters. 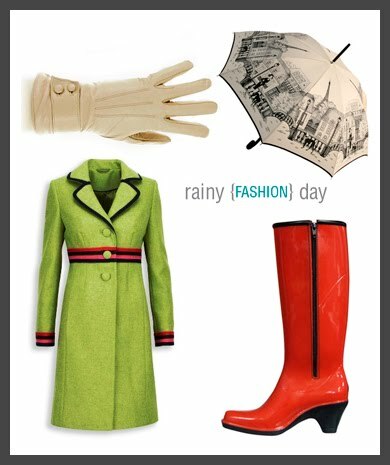 But, how about something a little more stylish...LizzyB loves rainy day fashions!